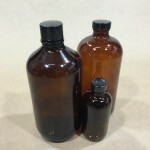 Yankee Containers stocks a line of amber glass bottles such as the one in the picture on the right. 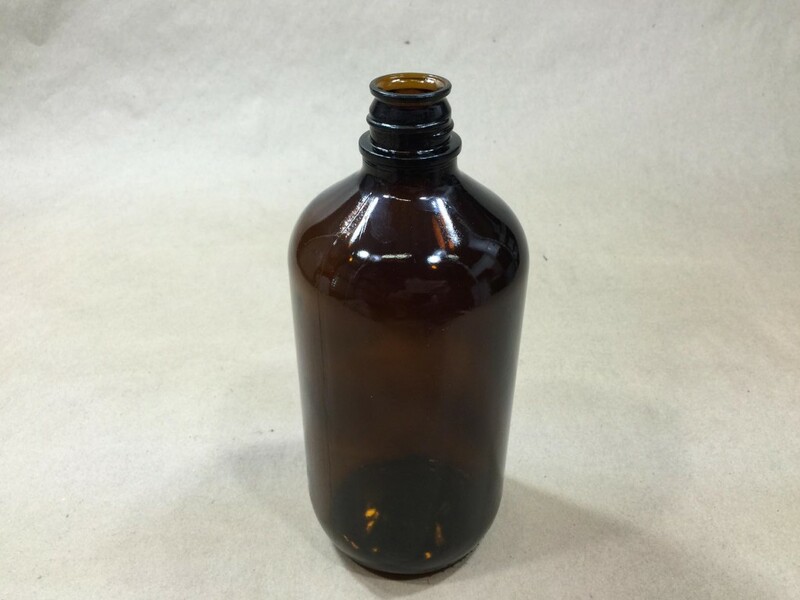 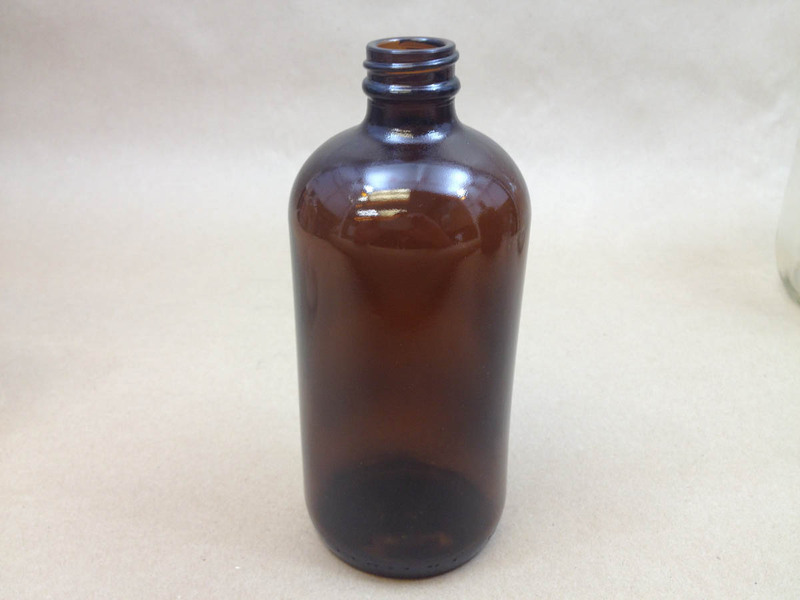 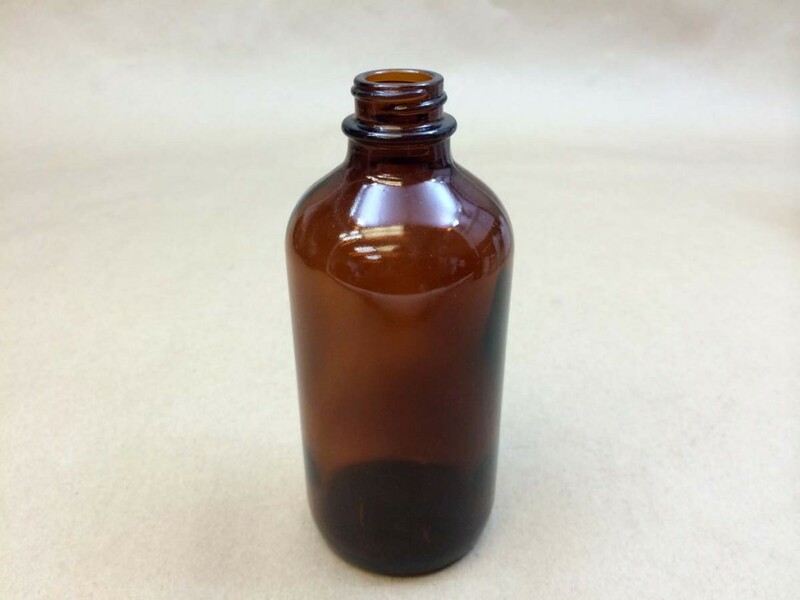 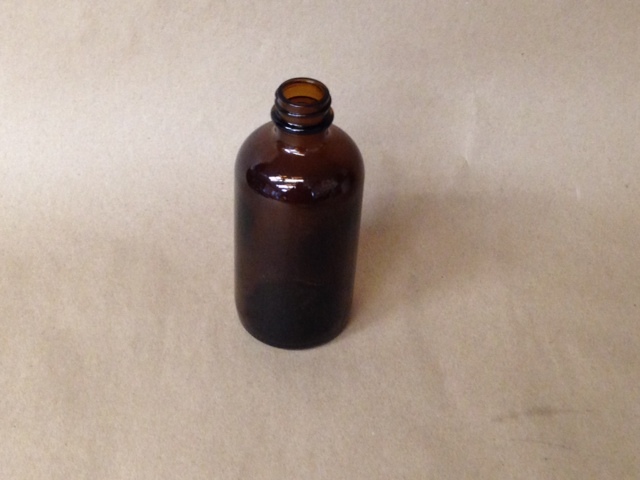 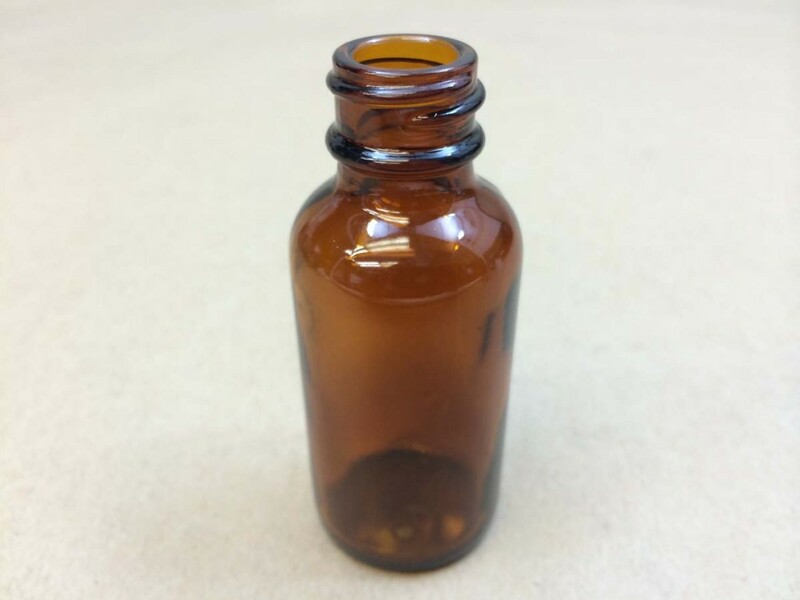 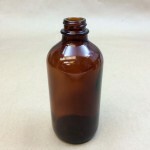 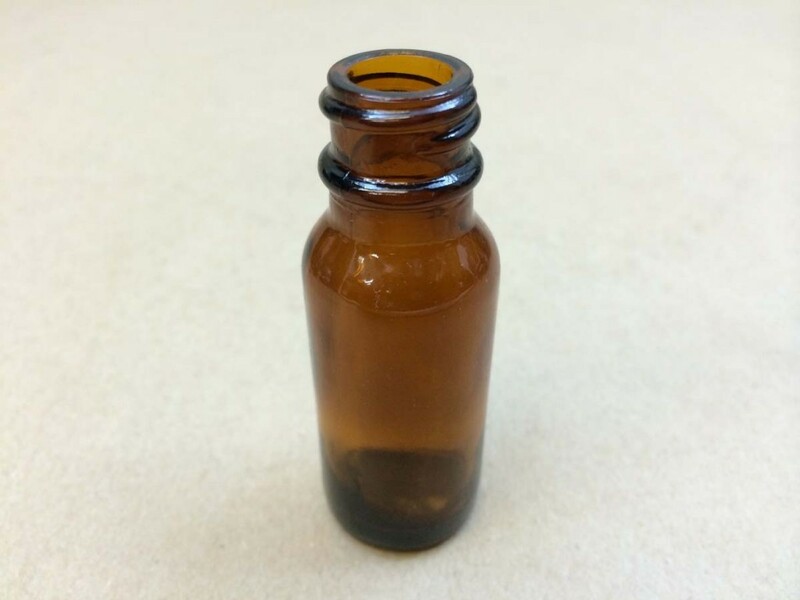 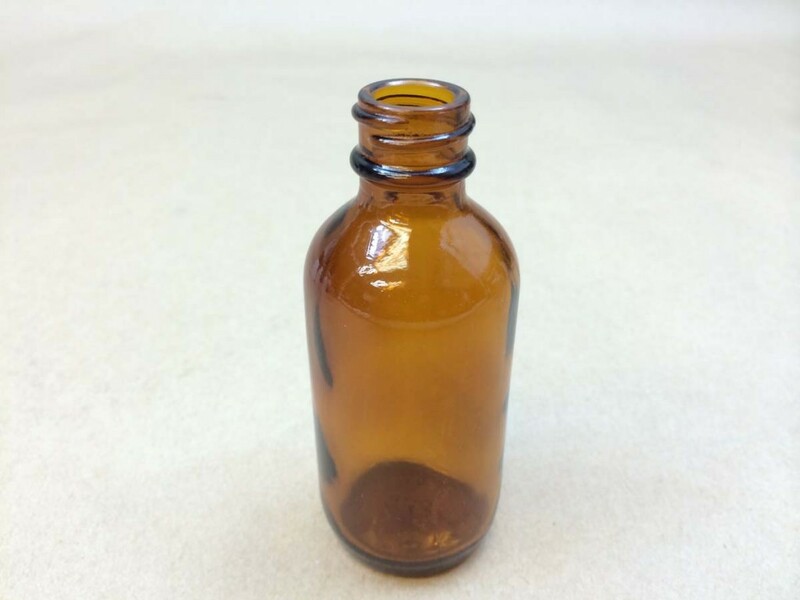 This is a 6 ounce medicine bottle which we refer to as our 6 ounce amber Boston Round glass bottle. 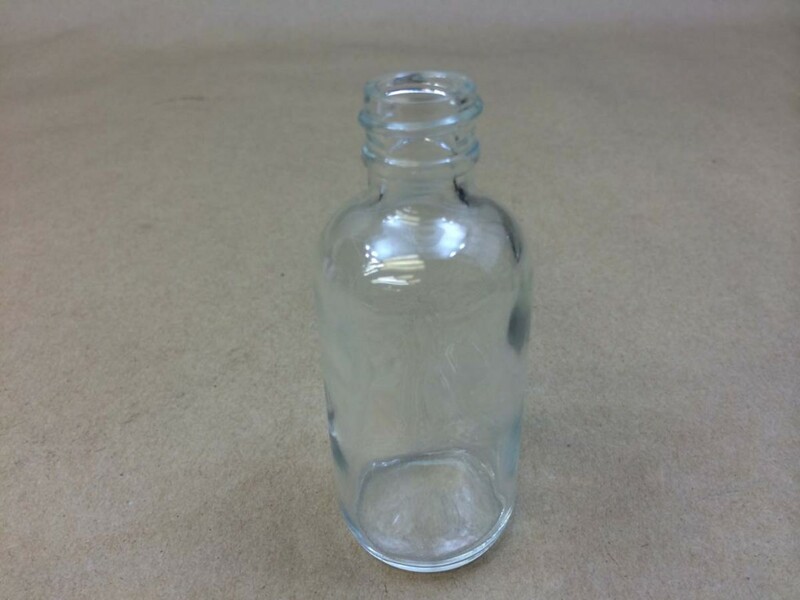 Caps are sold separately. 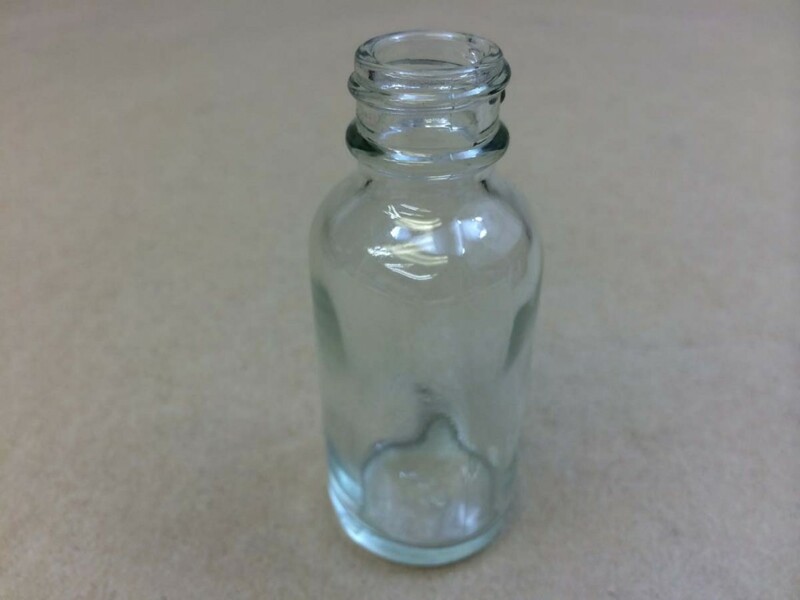 This bottle (our item# STO74407-37-08-90) comes packed in cases of 52. 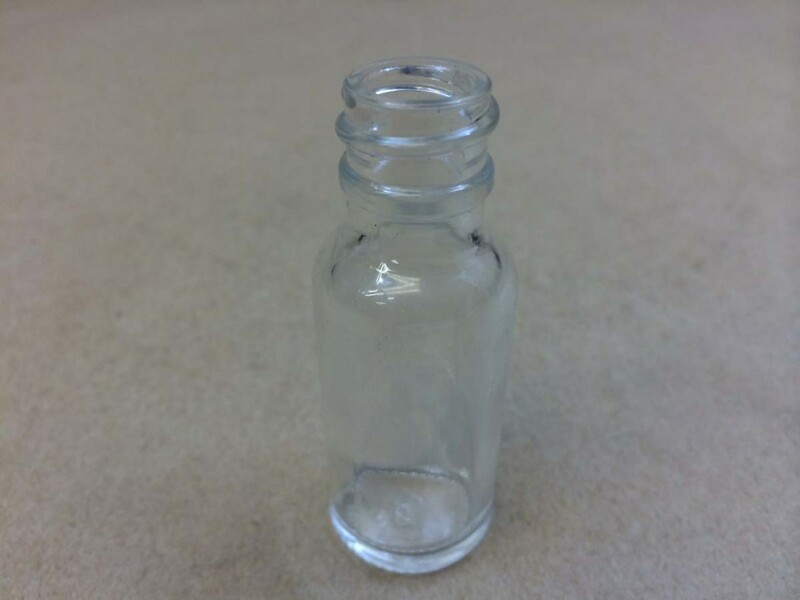 It takes a 24mm cap. 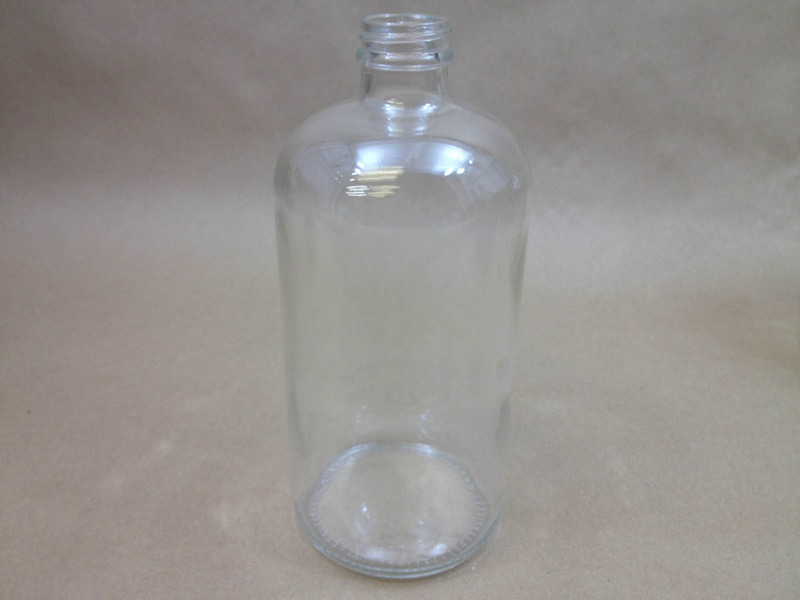 Most of our customers use a black low density polyethylene plastic cone cap. 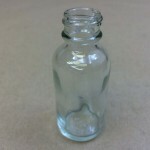 We also stock most of our Boston Round bottles in flint (clear). 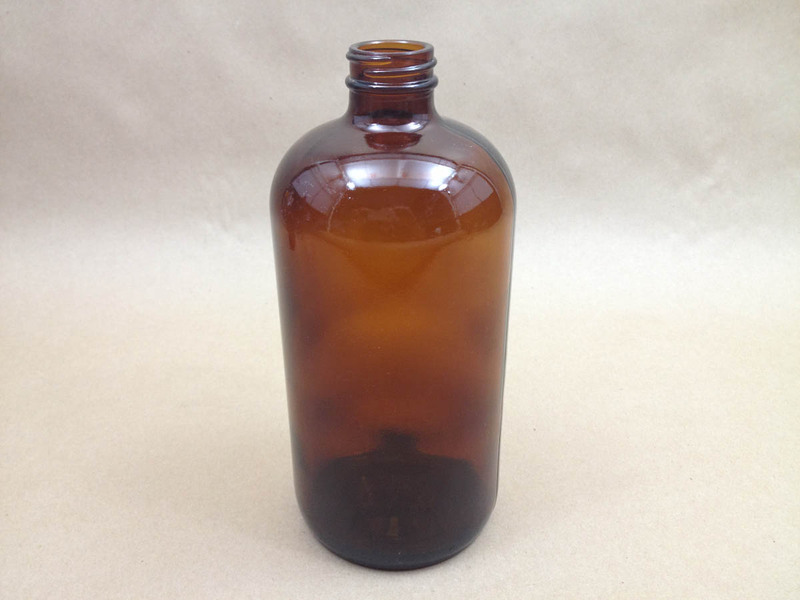 Amber glass has the added benefit of blocking harmful UV rays. 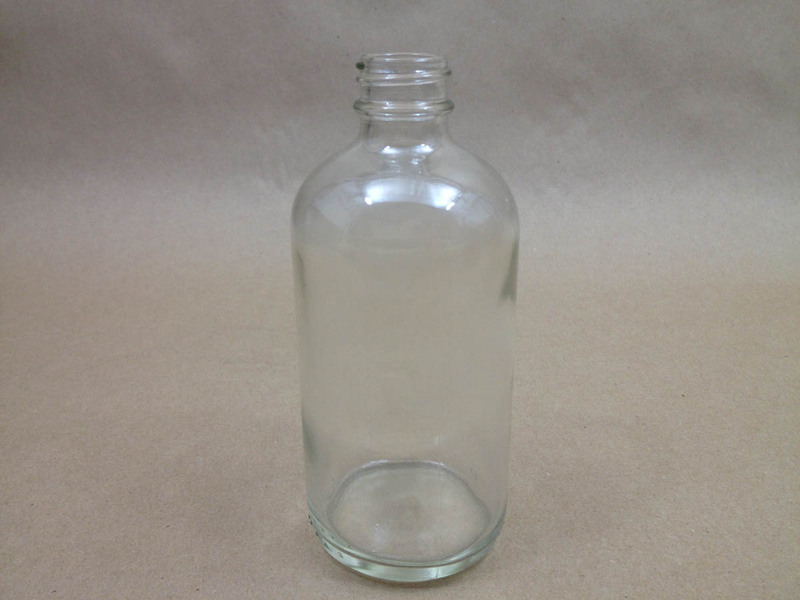 We price based on quantity ordered. 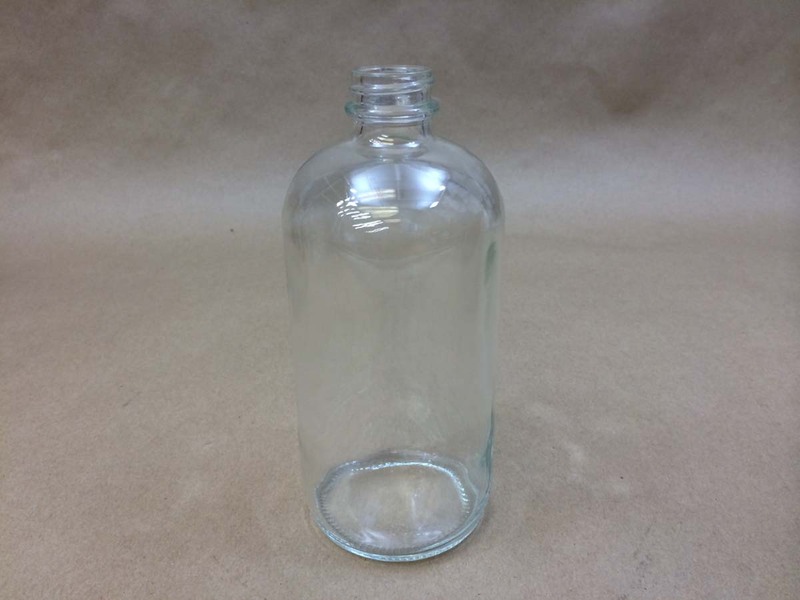 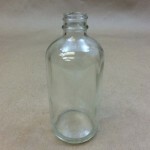 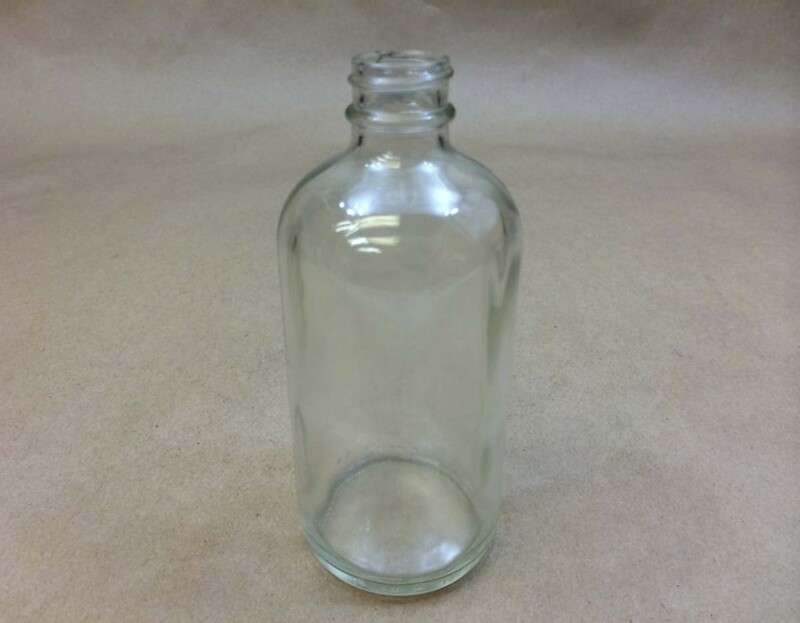 Below the picture section will be a complete list of our glass Boston Round bottles.